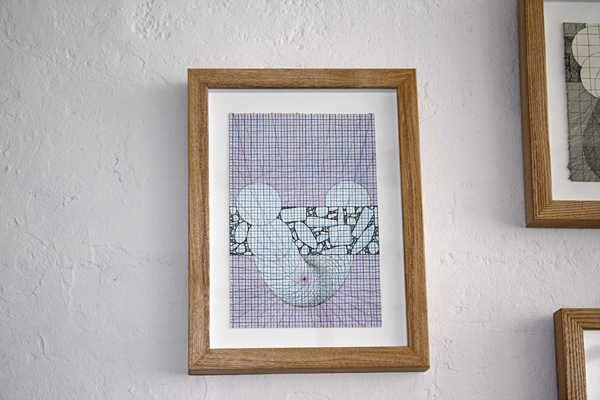 “Keepsakes” is part exhibition and part art-trade. 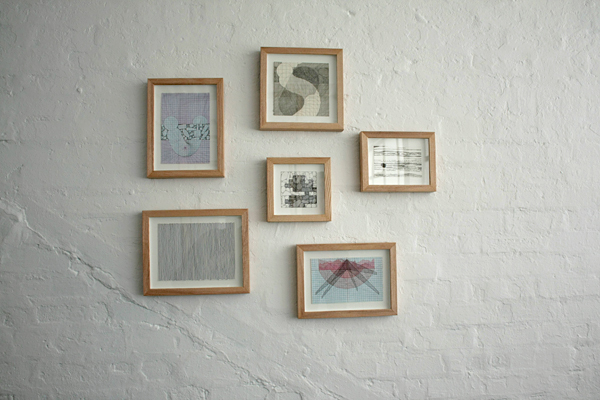 Twenty-seven artists from Canada and abroad have each contributed a small artwork representing themselves and their practice to be displayed at bric-à-brac studio. At the conclusion of the show, the pieces will be randomly distributed back into the hands of a fellow participant. 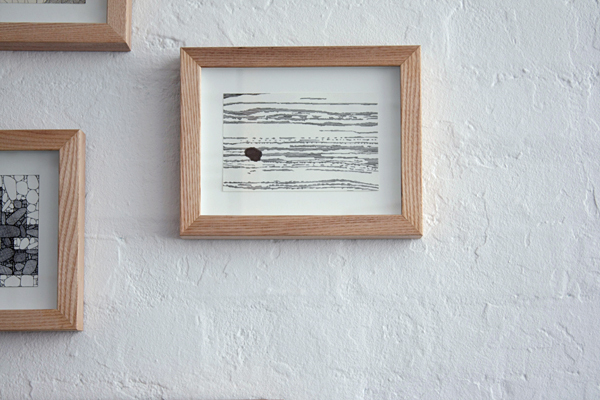 Each artwork is a gift from one stranger to another, a token sent as a delegate in a yet unknown land. The aim of this project is to create a platform where emerging artists from near and far distances alike can establish lasting connections with each other in a meaningful way. 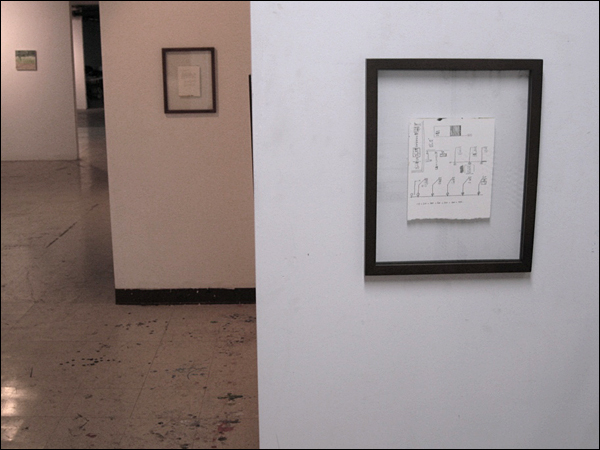 Outside of the opening, bric-à-brac studio is available for viewing by appointment. 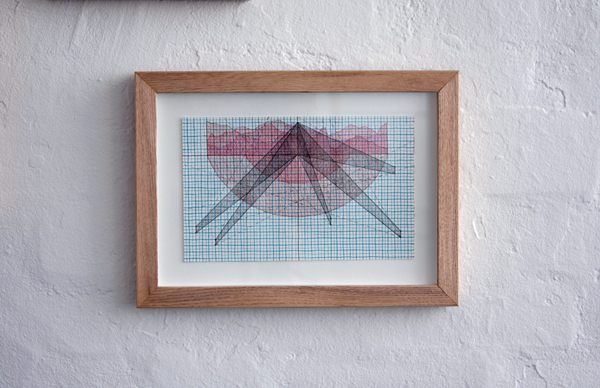 Email bric-a-brac@nadinemaher.com to arrange. 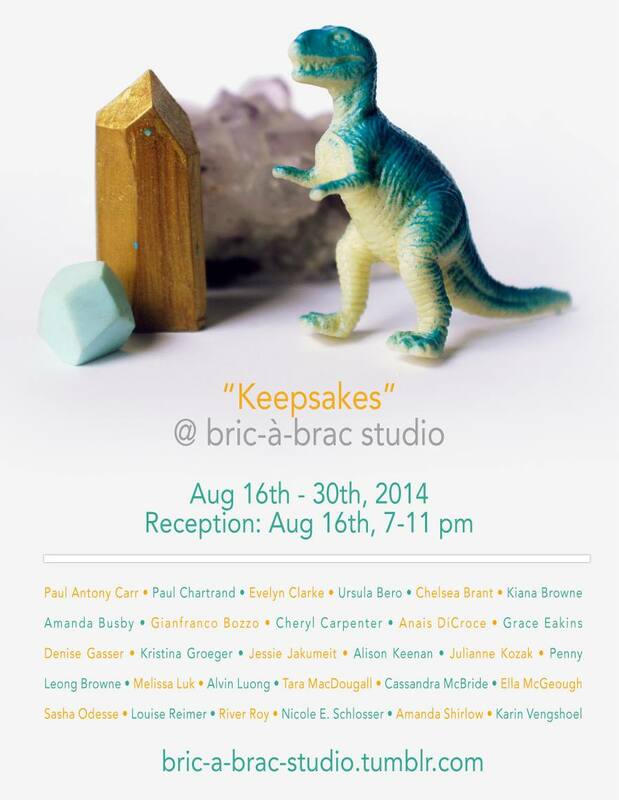 bric-à-brac studio is sometimes a gallery, often a studio, and always the home of two emerging Toronto artists. 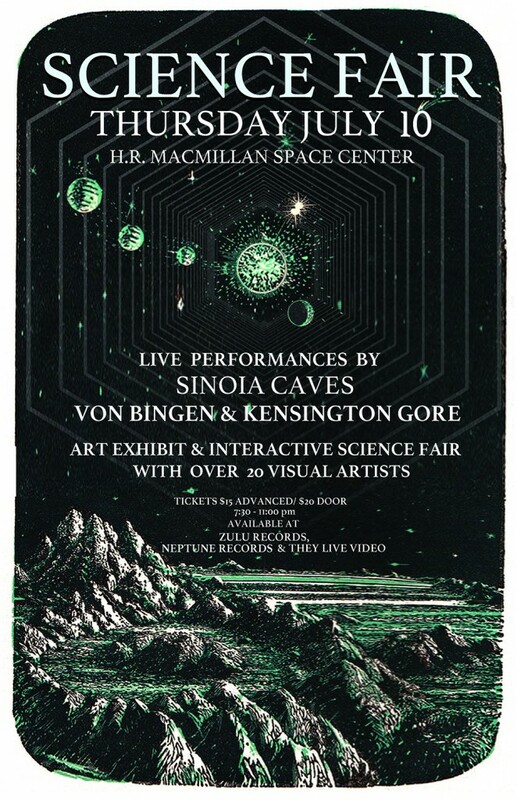 Music by Sinoia Caves, Von Bingen, and Kensington Gore live in the HR MacMillan Space Centre‘s planetarium; with an art show and science fair downstairs. Thursday, July 10, 2014 from 7:30pm-11:00pm. 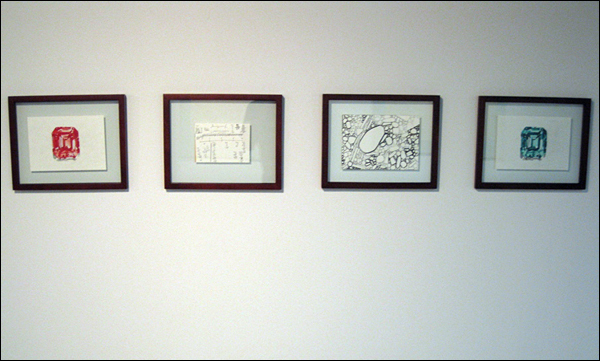 I’ll have some drawings in the SCIENCE FAIR. UPDATE: Art show is free, and exhibits in the lower lobby are on show until the end of July. 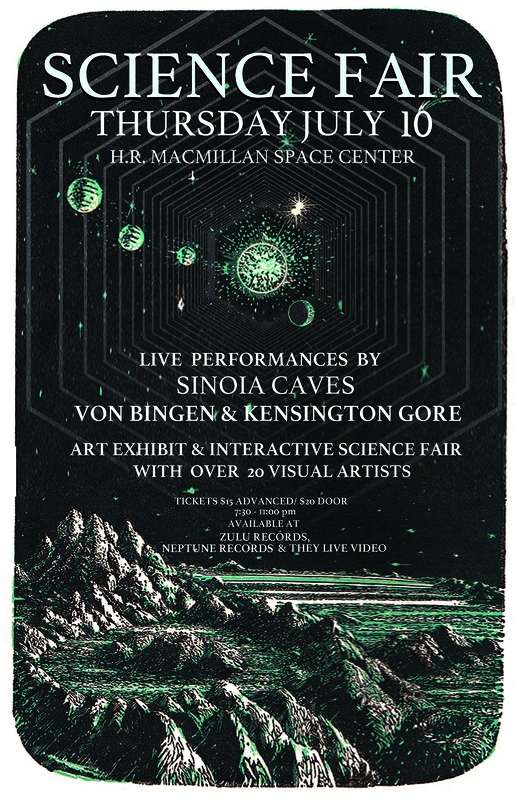 Tickets to see the bands in the planetarium are $15 in advance, or $20 at the door. On sale through Eventbrite, and at Zulu Records, Neptune Records, and They Live Video. 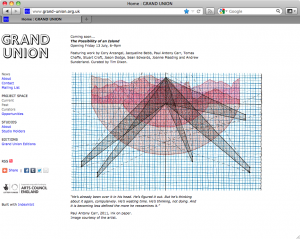 An image-text pairing from my Excerpts series is included in CARDED! again this year. This is always a really fun event, featuring the work of 50 artists in trading card form sold in $5 random packs. For one night only mingle and enjoy refreshments while trading cards. 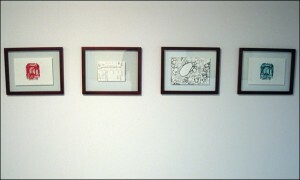 Each card is also displayed framed on the gallery walls. CARDED! is tonight, Saturday April 6, 2013 from 8-11pm at the new Hot Art Wet City space, located at 2206 Main Street, Vancouver, Canada. Excerpts. 2012. Installation view: The Possibility of an Island. 2012. Grand Union, Birmingham, UK. Photos by Tim Dixon. A selection of work from my Excerpts series is included in the exhibition The Possibility of an Island, which opens very soon at the Grand Union project space in Birmingham, UK. Exhibition continues 14 July to 18 August 2012, open Thursday to Saturday 12–5pm. Featuring work by Cory Arcangel, Jacqueline Bebb, Paul Antony Carr, Tomas Chaffe, Stuart Croft, Jason Dodge, Sean Edwards, Joanne Masding and Andrew Sunderland. Curated by Tim Dixon. Separated from a landmass and surrounded by sea, an island can appear a self-sufficient and closed unit, set apart from the world by its distinct language and custom, sitting in relation to and juxtaposed against an other. The very condition of an island’s possibility lies in its removal from something else, its displacement from a network of external influences that governs its being and gives it form. As such its relative autonomy is in fact contingent upon a range of factors that make it so. The work of these nine international artists set questions of autonomy and contingency into play. The works, in video, drawing and sculpture, question their relationship to, and separation from, a world external to themselves. 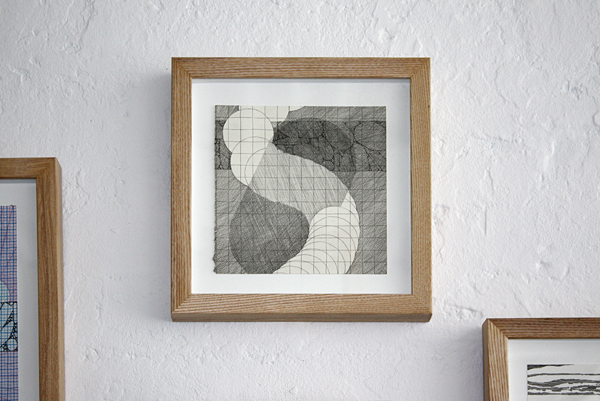 Through strategies of isolation and displacement, the artists bring forth material elements from circulation in a larger context and enact processes which separate them from the world; the works extract themselves from their wider networks in order to become visible. 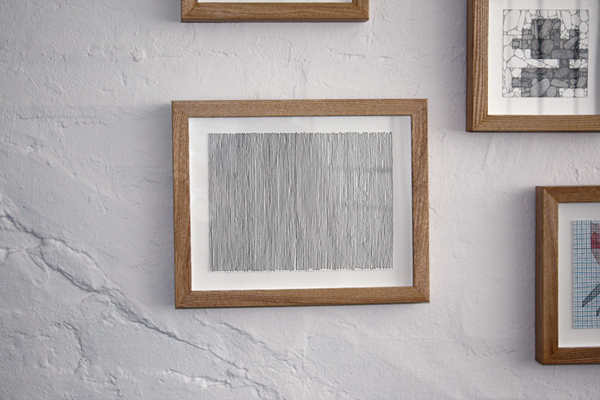 Both the objects and this exhibition are produced through processes of removal, selection and fragmentation. 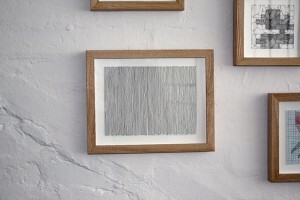 Implied within this is a reflection on the curatorial process and the nature of the curated group show; a construct in which individual works are brought into relation with others and both create and sit within a context. Artist Joanne Masding will lead an informal, drop-in workshop, exploring the exhibition through light and surface, using projectors and everyday materials. Free to drop in for families and young people as part of Warwick Bar Summer Fete. A teaser for The Possibility of an Island is currently on the homepage of Grand Union (Birmingham, UK). The Possibility of an Island is curated by Tim Dixon, and features work by Cory Arcangel, Jacqueline Bebb, Tomas Chaffe, Stuart Croft, Jason Dodge, Sean Edwards, Joanne Masding, and Andrew Sunderland; as well as work from my Excerpts series. 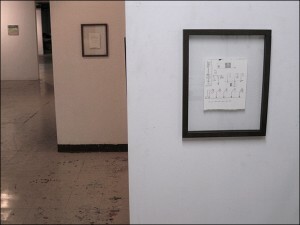 The show opens 6-9pm on July 13, 2012 at the Grand Union project space. Excerpts. 2009. 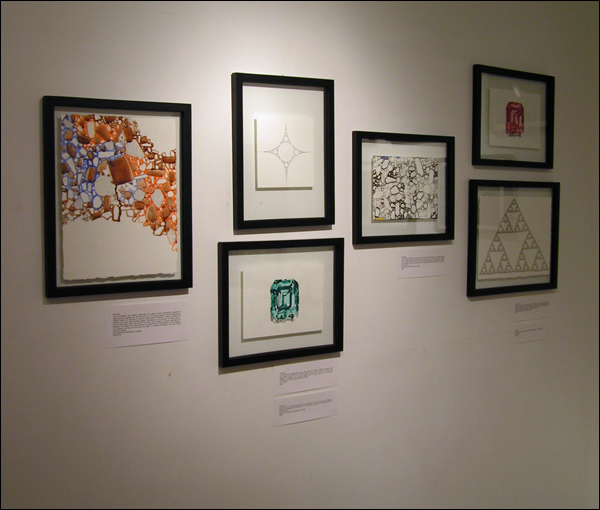 Installation view: I Heart Van Art. 2010. Chapel Arts, Vancouver, Canada. Excerpts. 2009. 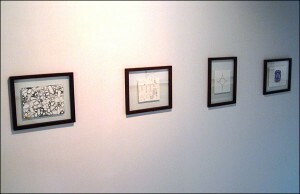 Installation views: The Dead 2. 2009. Great Northern Way Campus, Vancouver, Canada. Photos by Jordy Hamilton. 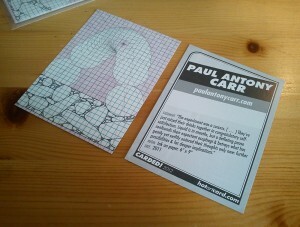 Copies of my card from CARDED! 2012 recently arrived in the mail. They feature a downscaled image from this Excerpts entry on the front, and an abridged version of its text on the back. I have some extras. If you’d like one, contact me and I’ll mail you a card. Photos from the show are now online. I didn’t anticipate being able to attend the event, but I managed to make it down for the last hour or so. It was a really fun evening with a great turnout, and there was some excellent art and illustration for trade and on display. An image-text pairing from Excerpts will be available in trading card form at this year’s CARDED! An annual event since 2009, CARDED! 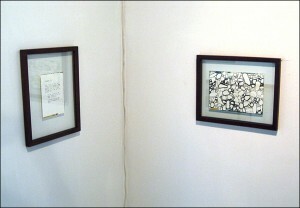 Trading Card Art Show features the work of fifty artists reproduced on 2.5 x 3.5 in. 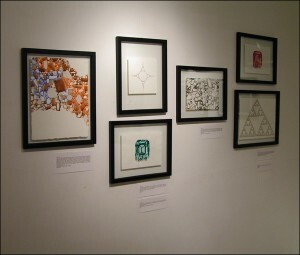 cards, which are sold in $5, randomised five-packs the evening of the exhibition. For one night only trade cards while mingling and enjoying refreshments. 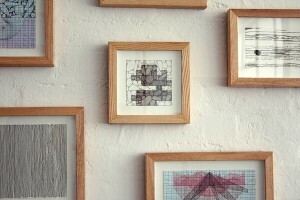 Each card will also be displayed framed on the gallery walls. The 2012 CARDED! is this Saturday, April 21 from 8-11pm at Gallery Gachet, which is located at 88 East Cordova Street, Vancouver, BC, V6A 1K3.